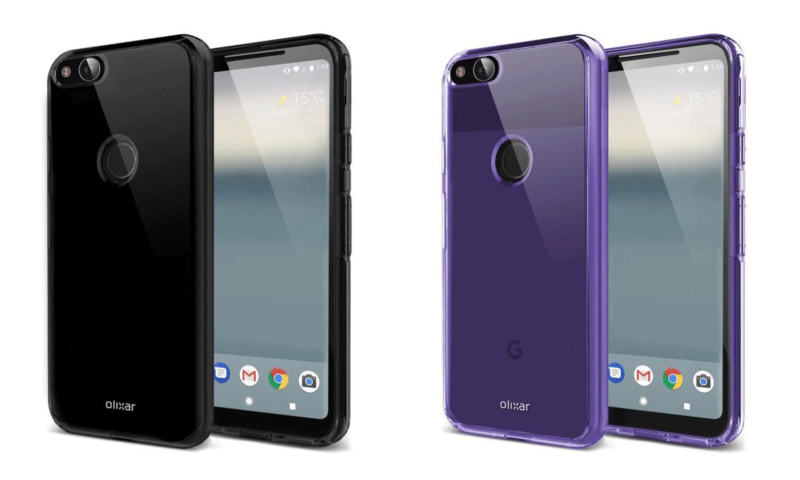 Case maker company Olixar has divulged the design of the Google Pixel 2 by launching the cases of the smartphones. According to the leak, Google Pixel 2 will drop the feature of the 3.5mm headphone jack and will have a single rear camera. Over the last few days, a lot of information about the two smartphones were divulged that the upcoming Pixel smartphones will not have the 3.5mm jack. Also, the gap for a fingerprint sensor at the back in the case is confirming that the smartphone will continue to have a fingerprint sensor feature at the back. According to the latest rumors, ‘Walleye,’ codenamed of Google Pixel 2, and the bigger ‘Taimen,’ codenamed of Google Pixel 2 XL, will be the more premium of the two smartphones and have an LG-made OLED. Google Pixel 2 will retain the 4.97-inch Full-HD resolution while Google Pixel 2 XL is expected to sport a 5.99-inch QuadHDD (1440×2560 pixels). The report says that the Google Pixel 2 and the Pixel 2 XL will be similar to each other in a lot of ways. Both smartphones will be powered by an octa-core Qualcomm Snapdragon 835 chipset processor and have 4GB of RAM and sport the same camera. But according to rumors Google Pixel 2 will come with 64 GB internal storage while Pixel 2 XL will sport with 128 GB storage. The Pixel 2 XL is also rumored to be water and dust resistant. It is expected to be either IP67 or IP68 rated, means it will survive in 1 to 1.5 meters of water for a period of 30 minutes. As a refresher, the current Pixel generation is only IP53 rated, that means it won’t die if you will only spray with water here and there, but definitely, it will not suitable for anything more than that. Both the smartphones will run Android O, which will make its debut on the two devices. Both smartphones might have few unique features on board from the start that will set them unique from the competitors. According to the rumors, you can see the Google pixel 2 with a metal body, large bezels with the two front-facing speakers, and the glass panel on the back which is quite similar to its predecessor. However, the glass will no longer surround the fingerprint reader. When we talk about the Pixel 2 XL, the back will be quite similar to Pixel 2 but the front will be different. Unfortunately, we haven’t seen any images of the Pixel 2 or Pixel 2 XL.